Additional wheels for Quadralite studio tripods. They can be used with tripods: Air 260, Air 395, Boom S and Boom Multi. The set includes a set of three wheels with brakes. The assembly is quick and easy - no additional keys are required. 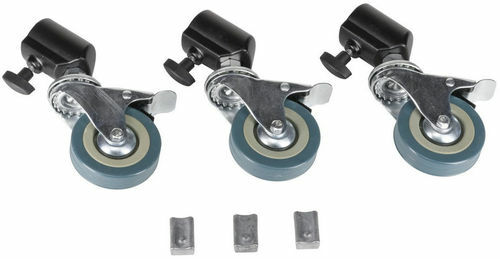 Quadralite wheels for studio tripods - 3 pcs.